It took me a couple of years of trying different editing techniques before I felt like "okay, I'm good at this." I remember even 3 years ago, Nathan had to convince me that Lightroom would save so much time (I was even thinking of editing an entire wedding in Photoshop -- what?!) and now I can't believe I even questioned him. I was just intimidated to learn a new program, though, to be honest. I've never been the best about getting ahead of the game on new software and technology etc. Even my mom had to convince me I needed a smart phone when I was more comfortable just staying with a dinky flip phone my whole life (again, thank you mother for knowing what is best for me). All that to say, I am not a natural wizard with technology, but I learned how to use Lightroom sort of on my own and with the help of a few other people here and there, so if I can do it, you can do it. 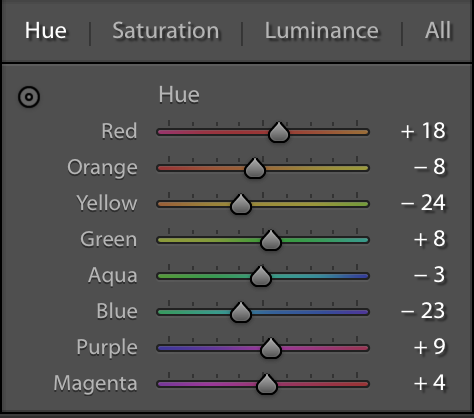 HSL, which stands for hue, saturation and luminance, is the section in Lightroom that you can use to adjust individual colors in a photo, rather than affecting the entire photo at once. I think initially I just glossed over this section because I didn't really get it and assumed it was some super advanced technique that I didn't need to worry about yet. But it's really SO simple and will change your editing 180. It's how you change your "blue" to "periwinkle" and your "red" to "maroon" and your "orange" to "peach." It's also the best way to adjust skin tones to look just how you want them. Hue: This adjust the actual color to be more or less like it's neighboring colors on the color wheel. For example, blue is next to green and purple, so you can move the slider to make your blue more of a greenish blue or more of a purpley blue. You can do this for 8 different colors (Red, Orange, Yellow, Green, Aqua, Blue, Purple, Magenta). There's so much more I could say about these (dedicated post coming soon?) but your best bet is to just experiment with different things and see what you like! Saturation: This one is probably familiar to everyone, but you can also do this to individual colors. A lot of times I will take down the saturation of oranges so that I can have a really bright colored photo while keeping my skin tone (orange) not too unnaturally saturated. You could also increase the saturation of blues for a really bright blue sky or decrease the greens for a moody outdoor vibe. Luminance: This is the lightness or darkness of a color. 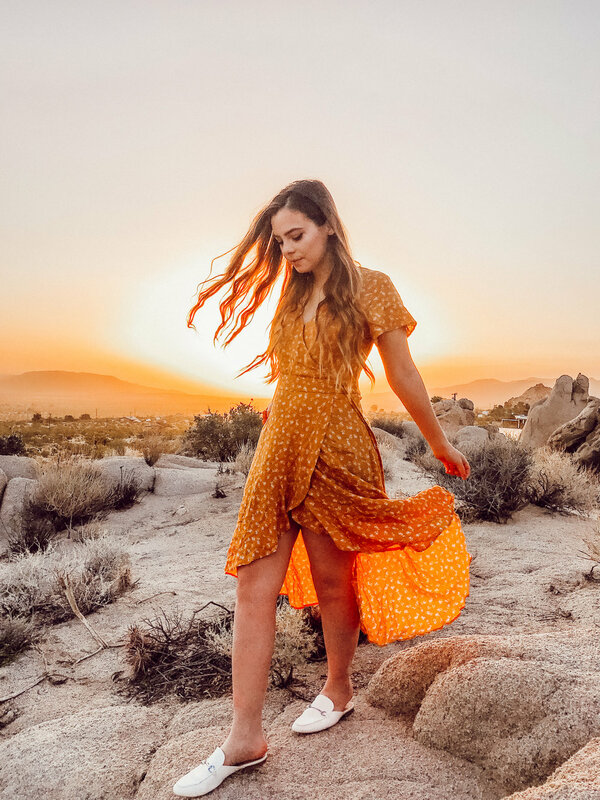 This is a great way to choose what you want to pop the most in a photo... You can use it to bring out details that were too dark, darken colors that are taking too much attention, or just use it stylistically for whatever you want! Lately I've been playing with increasing the luminance on almost every color (except skin tones, basically), for a pastel look! Another section I can't edit without is the highlights & shadows and whites & blacks. These are pretty self explanatory, but just make sure to play around with them! Lately, I usually like to lighten shadows and darken highlights to show a little more detail in my photos. I feel like there can be an expectation that a great photo is all in the editing, but sometimes (a lot of times) it's actually in the shooting. You can only do so much with colors and presets and editing, and you might need to consider shooting differently to get the feel you want. For example, I mentioned earlier that I like to bring up the luminance on each color for more of a pastel feel, but if I really want to commit to a pretty, pastel look, I also need to choose those colors when I'm shooting. I've started wearing lighter pinks and yellows and pastel purples and finding locations that are already light and colorful. You really can do a lot with editing, but if nothing is working for you, take a second to see if you can shoot it differently instead! I remember a time in my life that I was so frustrated that none of my editing was making me feed look like the feeds I admired, even if I was really consistent and used the same preset every time. It turns out, they were just starting with way more interesting photos than I was! hah! I had to take a bit to refocus on the content of my photo and once I combined that with the editing I had learned I started to become happy with the final product. Seems obvious, but it's something to think about!